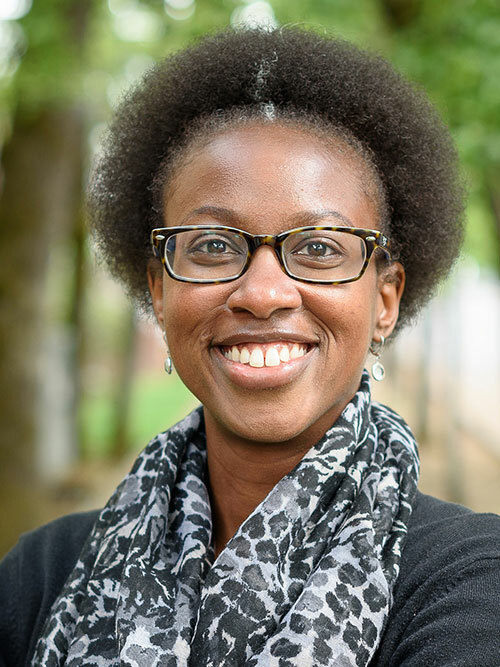 Tiona Cage (MSW, Florida State University) is the associate director of academic advising and community engagement at Portland Seminary. Before joining the seminary team in early 2018, Cage served as a visiting instructor in the university’s School of Social Work, teaching courses on human rights and social justice, ethical writing for practice and human behavior and the social environment. Cage has nine years of experience working as a student visa advisor, trainer and advocate within the field of intercultural education and is also a former Peace Corps volunteer (Botswana). In addition to leading at the seminary, Cage is a frequent guest lecturer and panelist in multiple departments on campus, and regularly speaks in local churches. She is also an active volunteer with Providence’s Faith in Action program. Prior to moving to Oregon, Cage served for four years as the impact team coordinator for her church’s partnership with the Big Bend Homeless Coalition. Cage currently attends St. Michael’s Episcopal Church in Newberg, where she teaches in high school youth group.